Back in 2008 I was making strides to some kind of online income and for about 6 months held the position of “Internet assessor/quality rater” with a company called LionBridge Technologies. This Ireland based software testing organisation is contracted by one particular well known search engine who, to my knowledge, still outsource data entry analysis tasks to LionBridge. I have always been afraid that if I reveal the name of the search engine somehow my sites will be de-indexed from the web and I would be kidnapped in the middle of the night! 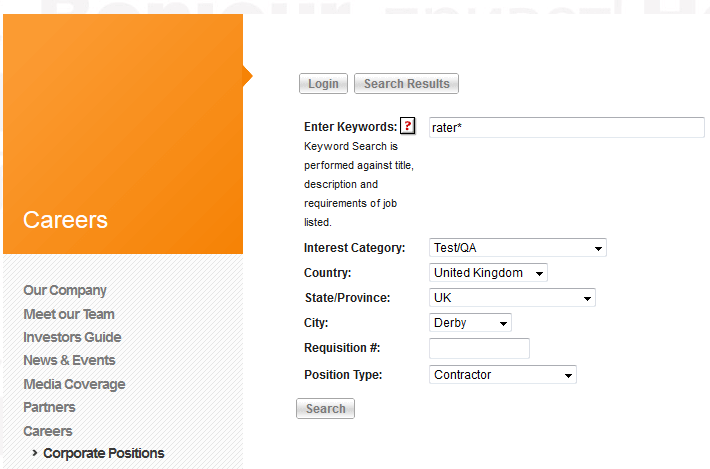 But that seems ridiculous now especially because there is an interview on Search Engine Land with one of these raters. So yeah, it was Google. Most webmasters have always known this job exists but I guess they never had any opportunity to apply for the job. I got lucky. Since all search engines are based on algorithms and keyword filtering, real people are drafted up in order to manually check and analyse the data. My job, on a freelance basis, involved sifting through numerous queries and websites, submitting rationalised quality ratings to help improve the search engine. Those who weren’t in the know seemed to regard the mythical PDF instruction guide that came with the job somehow comparable to finding out the recipe for Coca Cola, discovering the Big Mac sauce formula or knowing how to cook Walter White’s blue meth. It was nothing of the sort. I can honestly tell you it has not given me any search engine optimisation advantages. What I did learn was that the Big G were constantly trying to improve their results and dispense with the spam. If anything, it made me realise how much garbage is online. Update: Google have revealed the PDF instruction manual that was provided by LionBridge! This was used as revision source material for the exam I had to do before getting the job. I also referred to it constantly while doing the job, which was encouraged by my employers. You can view the PDF here. Prior to being taken on I was required to send in a CV/resume in addition to answering detailed email questions. 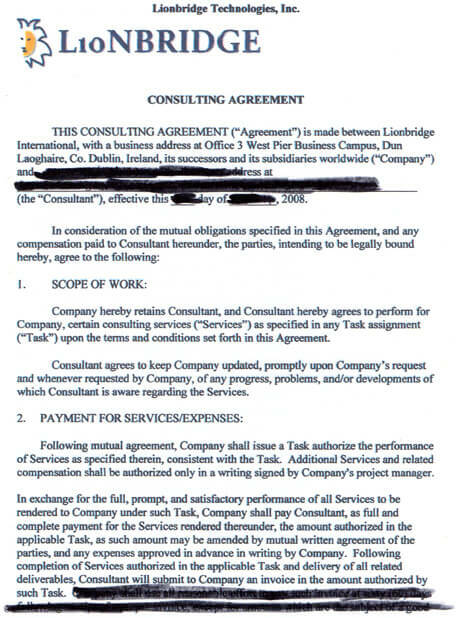 As well as reading, agreeing to and signing a non disclosure agreement a two part exam was studied for which I passed. This was all done in front of my computer. Below is a scanned copy of the original NDA. I have blacked out certain parts because I do not want to reveal certain details. The nature of the work was very much “compartmentalised” meaning that the subcontractees were deliberately kept in the dark about most things. Everything was sent by email or via the online dashboard we logged into. It would have been nice to talk to somebody by phone but that NEVER happened. I have lifted this screenshot from another article. I wish I had taken some screenshots back in 2008 as souvenirs but it never occurred to me that I might one day mention the job on a blog. The workaround for this was to use a secret alias on a forum and swap tips with other workers. It felt kind of lonely doing this job, and at times I was absolutely bored to tears. It was clear to me that some of the other workers found the job frustrating and were considering leaving. Some were simply terminated because their performance was “under par”. We were expected to work obediently and without communicating with one another. This is obviously because Google cannot risk any kind of security leak, well at least at the time anyway. Seeing as others are now talking about it publicly on sites like Search Engine Land it doesn’t seem like a big deal if I discuss it too. I’m not Edward Snowden! The tasks were sometimes very difficult. In fact I could feel that if I did the job long term it would become a source of anxiety or mental stress. The pay was okay with tax responsibility falling to myself. Hours were worked whenever I liked and ranged from 10 – 20 per week. I always received my pay by wire transfer on time which was in Euros, so the currency exchange rate was a factor in how much I earned. It took a long time for my final pay transfer to come through. It was almost a month late. 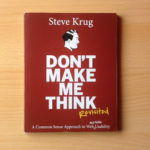 The reason I left this job is because I was offered something design related elsewhere with more hours and more money. I have to be honest and say despite who the employer was, the work was dull. I initially took the role because I needed part time work. I was under the impression I would turn into some kind of search engine tech whiz kid. Like I already said, that never happened, but that’s fine – it was basically data entry, which appeals to certain people more than it does me! I really cannot tell you anything interesting about SEO as a result of this job from an insider’s point of view. The inner workings of the world’s biggest tech corp will remain secret. It really taught me that data entry was not really for me and that Google closely guard their algorithm. I was just another diligent worker bee following instructions and picking up my pay cheque. Design and marketing are more appealing because I enjoy creating and leading more than following. It made me realise work has to excite me. Data analysis just doesn’t push my buttons, not for 9 Euros an hour, anyway. If you are interested in search engine rating work by all means check out the link below. I seriously advise you do plenty of research first though. After jumping through all the hoops you might not like the work at all. One final piece of advice: they don’t take on the same raters more than once. They have a weird policy about that. Don’t ask me why but if you quit once, you’ll never work for them again. Check out the link below, but be aware that there might not be any “rater” jobs going at this point in time. There are similar roles that are often home based and these might appeal to you instead. There is a search form that you can use to browse job keywords and categories here, but I’m not sure if these are home based. There IS a home-based jobs section too, and the layout now is quite a bit different than it was back in 2008. If you look at this section, you’ll see this is dedicated to online only roles. 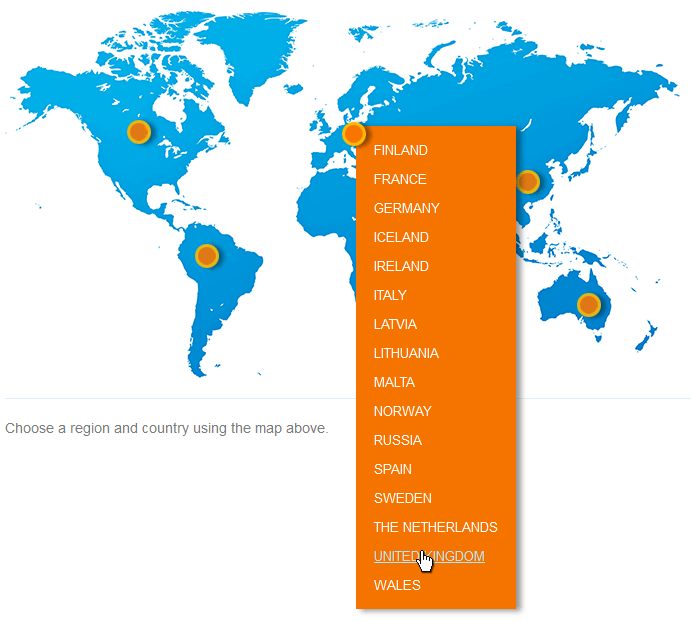 A world map shows different regions you can click and explore. If you’re from the UK, you’ll want to click the Europe section and choose United Kingdom from the drop down list. Your best bet is to check back regularly to see if anything comes up. Be prepared to send over scanned copies of forms of ID including your passport or birth certificate. I should probably also say, LionBridge might not even be partnered with Google anymore, but the nature of the work available through LionBridge will certainly be similar in nature (I heard they were contracted by the Yahoo! search engine at some point too). Are People Serious About Starting Businesses?